The name honors Captain Charles Moss, who built a 200-foot wharf for the whaling and agricultural industries in 1866. The Ohlone Indians are the original inhabitants with archaeological evidence dating back 4,000 years. The Spanish began settling missions in the 1700s and ran cattle over the hills of the surrounding area. The latest arrivals that we call Americans settled the area in the mid 1800s. Farmers turned the area into cropland. Loggers logged the hillsides of trees. Whalers hunted migrating whales, and a processing plant onshore turned those giant mammals to oil and whale bone. During the California Gold Rush, Moss Landing supplied the boomtowns of miners with sugar beets, potatoes, lumber and other products. It was also the main shipping point for Salinas and Pajaro valley crops until the railroad arrived in 1871. The cemetery also has many historical figures significant to the region. For more history of Moss Landing drop into the post office where the walls are covered with photos and information! The Monterey Canyon is a submarine canyon in the Monterey Bay with a depth of 1 mile which rivals the Grand Canyon. The canyon’s depth and nutrient-rich sediment provide an abundant habitat of marine life which is why Moss Landing is the best launching spot for whale and wildlife watching, and offers exceptional birdwatching. The canyon begins at Moss Landing and is the largest submarine canyon along the West coast of North America. Many questions remain unresolved regarding the exact nature of its origins. Thanks to Moss Landing Harbor District for the following photos and text. In 1866, a wealthy Texan and retired ship captain named Charles Moss brought his family from Texas to the California shore where they built their new homestead. Realizing the potential of this superb location, Captain Moss, along with Portuguese whaler Cato Vierra, constructed a 200-foot wharf to establish shipping facilities and a pier for commercial water traffic. Industry followed, with fishermen, whalers and salt pond operators all making a successful living from the ocean. The Moss Landing Harbor is the number one commercial fishing harbor in the Monterey Bay with 600+ slips for recreational boaters and commercial vessels. Partnering with marine research and education, the Moss Landing Harbor District provides full public access to the environment. 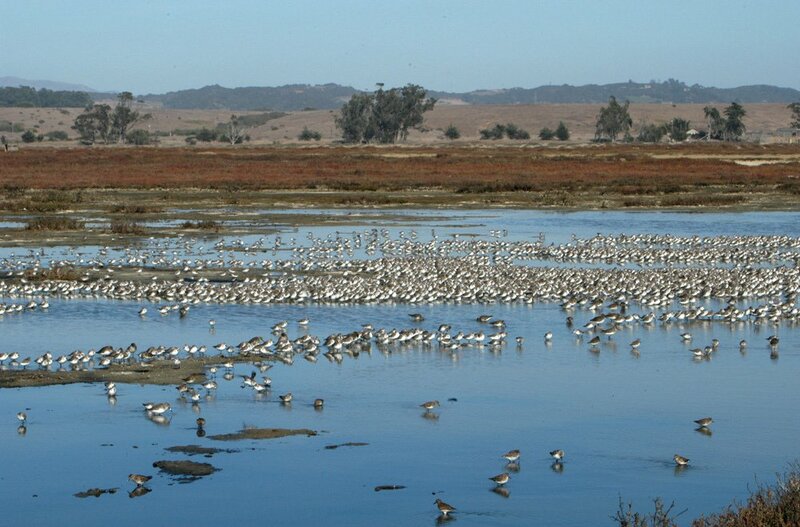 Centrally located between Monterey and Santa Cruz, the Moss Landing Harbor is bounded by the Pacific to the west, Elkhorn Slough National Estuarine Research Reserve to the north and east, and green fields of artichokes and strawberries to the south. The land, submerged lands and tidelands comprising the Moss Landing Harbor were originally acquired by the State of California upon its admission to the United States of America in 1850. 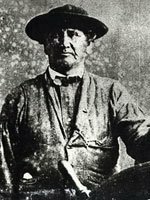 The State, by virtue of its sovereignty, received in trust from the federal government all right, title and interest of these lands and tidelands along the Salinas River for the purpose of commerce, navigation and fisheries. In 1866, a wealthy Texan and retired ship captain named Charles Moss brought his family from Texas to the California shore where they built their new homestead. Realizing the potential of this superb location, Captain Moss, along with Portuguese whaler Cato Vierra, constructed a 200-foot wharf to establish shipping facilities and a pier for commercial water traffic. Industry followed, with fishermen, whalers and salt pond operators all making a successful living from the ocean. An important contributing factor to the success was the gold rush fever, as demand for all kinds of products greatly increased and it was from Moss Landing where sugar beets, potatoes, lumber and other products were shipped to the gold boom town of San Francisco. The locals thought enough of the captain to eventually call the place Moss Landing. Captain Moss later sold his holdings to the Pacific Coast Steamship Company. Sadly, in 1906, an earthquake destroyed the wharf and much of the infrastructure. Around 1890, the Pajaro Valley Consolidated Railroad was built from Spreckels to Watsonville via Moss Landing. This increased the volume and variety of shipments in and out of Moss Landing by boat. About 1917 a whaling station of considerable capacity was established at Moss Landing. About 1931 it was replaced with a fish canning plant and many more fish processing plants continued to appear on the “island”, a strip of land about 3/4 of a mile long and 1/2 a mile wide separated from the main shore by an ocean inlet. 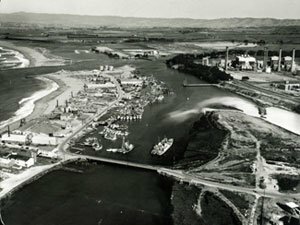 Knowing that because of it being ideally situated in the center of the Monterey Bay area, it would be of inestimable value to the commerce and industrial developments necessary to the whole area, individuals and groups of individuals began working on plans for an inland harbor at Moss Landing. The Moss Landing Harbor District was formed on June 22, 1943 for the purpose of developing a harbor at Moss Landing pursuant to the Federal Harbors and Navigation Code. The Harbor District Board executed an Easement and Franchise Agreement with landowner and District Board member Wilbur C. Sandholdt, granting the District easements and right-of-way over approximately 13-acres of land through which the harbor channel would be cut. In 1945, the United States Congress authorized construction of a harbor at Moss Landing by the United States Army Corps of Engineers. In 1947 the dredging had been completed, the piers and wharves had been built, and the harbor was now officially open. However, due to a drastic decline in the whale population, the severe drop in the prices of whale products, and competition from offshore factory ships, the industry petered out. Likewise, the sardine industry was virtually disappearing leaving many of the warehouses and canneries empty. Now over $200,000 in debt, and with no financial relief in sight, the Harbor District struggled for the next couple of years to keep in operation, to keep debtors from threatening lawsuits and to find alternative sources of income. Fishing eventually revived and became prosperous again, the District granted several franchise agreements for water and pipelines, debts were slowly but steadily satisfied, and the District was able to resume development of the harbor. One of the franchise agreements was with Pacific Gas & Electric in 1950 when the Moss Landing Power Plant, the second largest fossil fuel thermal electric power plant in the world, was constructed. In 1951 the Elkhorn Yacht Club completed building approximately 60 mooring spaces and club room facilities. 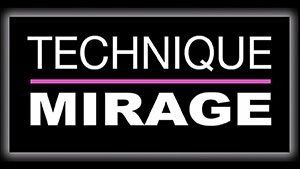 Gasoline storage facilities were built and the first shipment of gasoline from a Texas company was delivered in 1952. In 1967 the Governor of the State of California enacted an amendment to the original land grant. This amendment granted additional tidelands and submerged lands north and south of the Salinas River boundaries and 2,000 feet seaward to the Harbor District for the conduct and improvement of the harbor and the construction, maintenance and operation of wharves, docks, piers, slips and any necessary facilities for the promotion and accommodation of commerce and navigation. 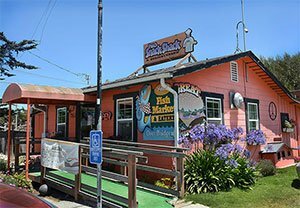 Today, the core of Moss Landing’s economic activities focuses around its importance as a fishing port, as well as a popular tourist destination. International research institutes, industrial trades, nature & whale-watching tours, sportfishing charters and kayaking rentals have also settled in Moss Landing Harbor. 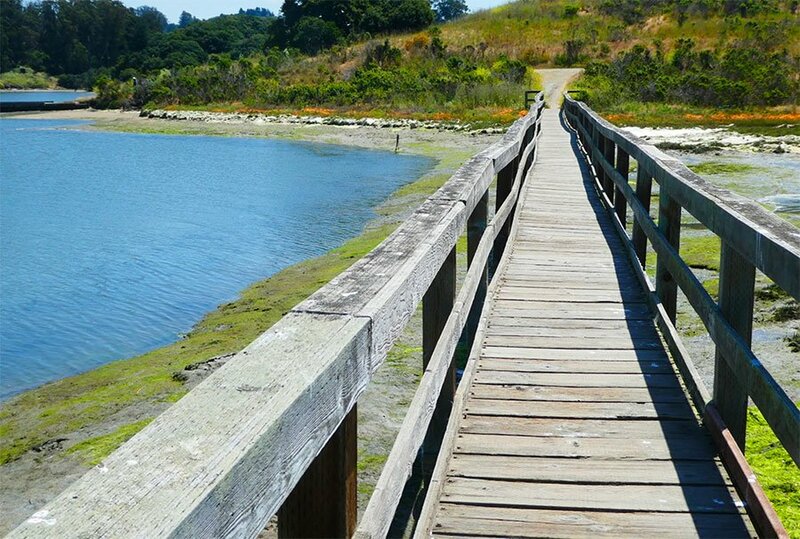 Visitors enjoy wildlife viewing, walking trails, the Elkhorn Slough National Estuarine Research Reserve, beaches, fish markets, fresh fish for sale off boats and a community park w/BBQ pits. There are flower & fresh fruit stands, a bed & breakfast inn (another under construction), RV park, antique shops, convenience store, and post office all within walking distance of the Harbor. And for a quaint historic fishing harbor, there is no lack of excellent world renowned dining establishments. The latest project, a $4M North Harbor Improvement Project began construction in 2006 and was completed in March 2007, just in time for Salmon Season. The project includes a new 4-lane launch ramp, paving of the 5-acre site for parking, storm drains and a boat wash, a 900-foot public access wharf at the water’s edge, and a 110-foot visitor serving dock alongside the wharf. A pedestrian/bicycle trail, funded by the Transportation Agency of Monterey County, and designed to run along the perimeter of North Harbor along scenic Highway 1, will complete the project. The final component of the North Harbor Improvement project will be the construction by a private developer of a restaurant that overlooks the wharf and the ocean beyond. And this is only Phase I of the North Harbor Improvement Project! 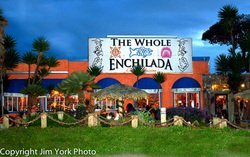 There is still a 2,500 square foot footprint to develop next to the restaurant site, and years from now, the northern end of the property will be improved in the final phase. The largest Special District of the State of California, the Moss Landing Harbor District is governed by a 5-member Board of Harbor Commissioners each serving 4-year terms of office. 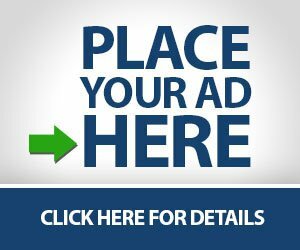 The current Board members are Russ Jeffries, President, Yohn Gideon, Vice President, Vince Ferrante, Secretary, Commissioner Frank Gomes, Jr. and Commissioner Tony Leonardini. The General Manager and Harbor Master Linda G. McIntyre, Esq. has been with the District since 1999. 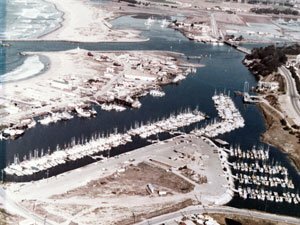 On August 13, 2005 the Monterey County Board of Supervisors adopted a Resolution recognizing NATIONAL MARINA DAY and the Moss Landing Harbor as a substantial asset to the community and local economy. Designated as a year round port of safe refuge, Moss Landing Harbor provides safe, reliable marine refuge and services to boating members of this community and welcomed guests. Through membership in organizations such as the California Marine Affairs and Navigation Conference, the Pacific Coast Congress of Harbormasters and Port Managers, the California Association of Harbor Masters and Port Captains, and the California Special District Association, by adopting Ordinances and by actively petitioning government regulatory agencies, the Moss Landing Harbor District continually strives to protect the surrounding natural resources and preserve our fishing heritage, not only for the enjoyment of this generation but for generations to come. On March 7, 2007 the Moss Landing Harbor qualified as a California Certified Clean Marina. A qualified Clean Marina must, among many other things, pass a physical inspection of the harbor, provide an emergency action plan and a spill prevention and clean-up plan, enact and enforce ordinances and policies on the use of the harbor facilities and resources by harbor tenants and visitors; and provide documentation and records of governmental agency compliance regulations. 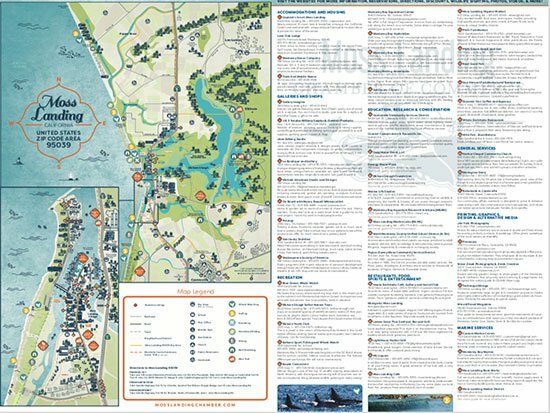 The are approximately 75 specific areas in 12 different categories in the Clean Marina rating system and Moss Landing Harbor is proud that it passed with an overall score of 95%! A grand opening celebration of the North Harbor Improvement Project was held on November 2, 2007 to coincide with the Harbor’s 60th anniversary. The event was attended by over 200 state and local dignitaries, elected officials and business owners, including Congressman Sam Farr who presented a Congressional Record recognizing the District’s many accomplishments over the last 60 years.